Master-planned, mixed-use communities are looking up in Ottawa. Our city is following in the footsteps of other large urban centres such as Toronto and New York, where these neighbourhoods are proving tremendously successful. Building “up” rather than “out” is making great use of precious land in Ontario, especially in major urban areas. The continued demand for high-rise condominiums is testament to the need for more, and combining the mixed-use aspect takes convenient living to the next level. In essence, these towers create vertical cities within cities. Most everything people need is steps away, eliminating much of the need for gas-powered vehicles. Easy access to amenities also frees up precious free time that would typically be used for running errands and chauffeuring family members back and forth to shopping, appointments and other commitments. Of course, municipal zoning is a big consideration, and developers have to accommodate this in their master plan. The goal is to balance private residential needs with the requirements of commercial/retail facilities. For instance, what a retailer might want in the way of street signage may interfere with the residence’s eyes-on-the-street lobby. There are several parameters to figure out and have approved. Smart developers know that engaging a specific commercial or retail organization for a space in the mixed-use community can help with market appeal. In Ottawa, I see the need for more condominium communities with towers that are multi-use, including everything from market housing to seniors housing, commercial and retail venues, and even office space. Up to now, Ottawa’s residential condos may include some retail at the base, but are far from truly mixed-use buildings. Here, mixed-use towers and communities might encompass seniors residences or affordable housing, all under one roof. The convenience is obvious, as people need shops and services. Why not right in their building? If you accept this principle, it opens the door to more creative thinking about how real estate is created, including collaboration between the private and public sectors. One example of the success of this concept is Arthaus, Montreal-based DevMcGill’s joint venture with the City of Ottawa, The Ottawa Art Gallery, Groupe Germain and the University of Ottawa. The first Le Germain Hotel in Ottawa forms the base for the residential condominium, which is adjacent to the expanded art gallery and new theatre being programmed by the university. There is also a restaurant that is now open. Part of the master-planning for mixed-use urban communities is locating them close to transportation access and local amenities. Arthaus is so close to shopping and services most errands can be done on foot. The nearby Rideau Centre is expanding, and the new LRT station is next to it. Plus, highway access is minutes away. Sales have been outstanding. Residents are moving into the finished building, and only a few suites remain. It is refreshing that Arthaus has been received so eagerly by the public, as its cutting-edge minimalist architecture is also something new to Ottawa. Again, this is just one example of how the “Vertical City” is catching on here. With life getting more hectic all the time, the demand is rising for neighbourhoods where people can live, work, shop and play without traveling distances. I see more of these developments in Ottawa in the future to satisfy an unfulfilled market segment. 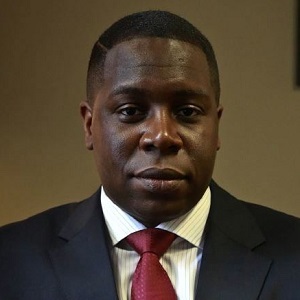 DEREK NZERIBE is Regional Director, Marketing & Business Development, at Milborne Group, which serves clients in a range of projects from vacation homes to high-density, mixed-use developments in locations around the globe.